So, I went to Whole Foods in Boise, Idaho earlier this evening and found myself lost in the aisles trying to decide what to buy. I went into the store hungry, which isn't something I recommend unless you want to spend hundreds of dollars. As I love the vegetarian and vegan options here, what I found very intriguing was their incredible selection of cheeses as well as bakery section. I love cheese and have become sort of a connoisseur over the years. The area of Whole Foods offers the best cheese selection I have discovered for a commercial grocery store. Of course I've been to actual cheese shops which offered thousands of varieties, but if you are looking for a great selection, Whole Foods definitely offers the best I have discovered in any grocery market. Today, I decided to splurge on the Rogue River Bleu - Special Reserve Cheese. After trying a sample in the store, I just loved the taste of this. It has a very unique, acquired taste which leans towards sweet and savory. The rind itself consists of leaves soaked in brandy. As a creamy, semi-soft bleu cheese, it is a "melt in your mouth" kind of cheese which tastes incredible paired with sweet fruit. I was shocked to find out this cheese comes from Oregon, as this compares to some of the best Parisian bleus I tried in the finest cheese markets. Another cheese I decided to try was one I have tried many years ago. It is the Fromage de France Brie de Melun. To be honest, I found this brie at an actual cheese shop several years ago when I traveled overseas. It is literally the best brie I have ever had. It has the best flavor I have tried. The rind has a clean taste and is very fresh in comparison to other bries, especially any you would find in the grocery stories here in the United States. I have tried many brie varieties so I am quite selective in my tastes. 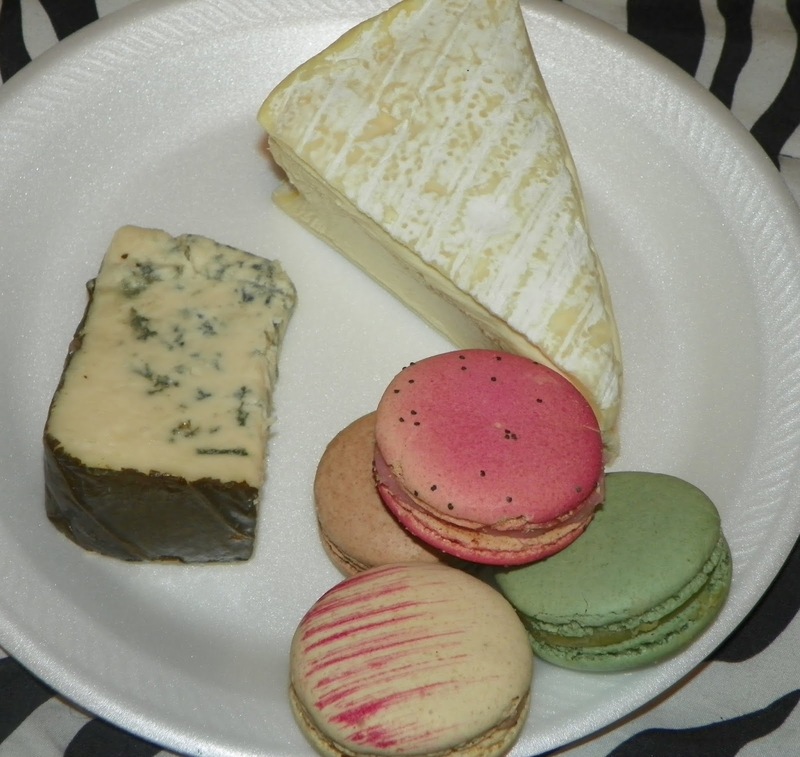 In addition to the two cheese I picked up, I decided to buy several flavors of macaroons. The macaroons are good, but not to brag, I think mine are a little better. The flavor is relatively stale, but not as bad as some I have discovered when purchasing them in commercial bakeries or in grocery stores. Although I bought much more than this, this is what I am enjoying for dinner tonight. I am not drinking wine (although a glass of cold, sparkling moscato sounds like heaven right now) I am enjoying a mineral water compliments of Perrier.